It’s all about the shoes honey. 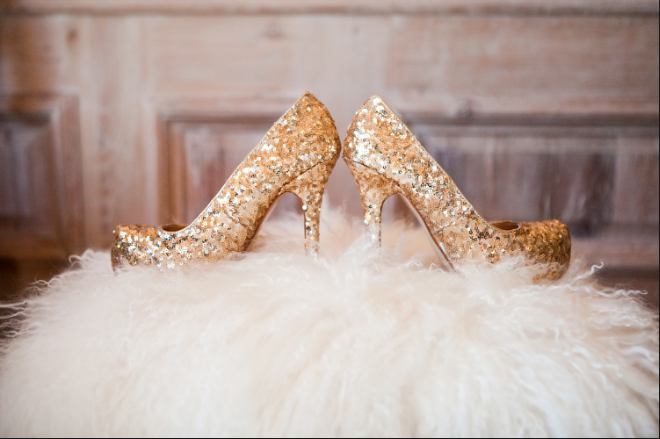 How many brides chose their dress based on their shoes? Now you’re thinking, wait, what did she just say? One doesn’t simply choose her dress based on her shoes! No, maybe not but the emphasis on shoes has changed and it is now equally as important to get the shoes right to finish the outfit as it is to find the perfect dress in the beginning. 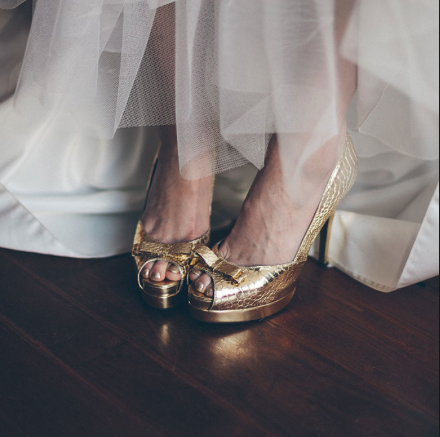 There are two types of wedding shoe buyers, the one that wraps her shoes up to put them in the loft or the one that buys them knowing they can be used again for other outfits. If you are the latter you will love this first trend of 2017. Do you already own a pair of shoes to die for? They are so gorgeous you still keep them in the box and only wear them for momentous occasions? BUT. They aren’t in keeping with your wedding theme at all so until now you hadn’t given a thought to wearing them. Break the mould and get shoe clips, available in an array of different designs and colours, the only thing stopping you is, you. You can jazz up a pair of old lace slip ons or tone down an outrageous pair of killer heels. 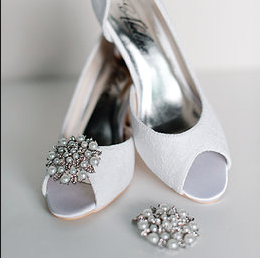 Its a great way of making sure your bridesmaids match and turning any footwear into the real deal for any occasion. Cinderella herself would be envious with some of the gorgeous sequins walking into the high streets at the moment. Forget your traditional lace or plain whites, add some glitz and make it shine. From subtle to all out bling, there is a style just for you. 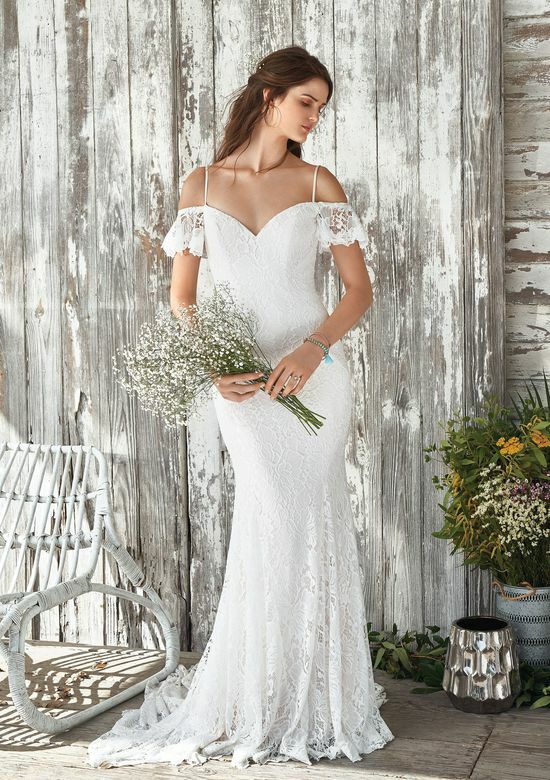 Close your eyes for a moment and envision your dress, a bodice with hints of diamantes, think high heels with ice blue sequins and a veil with sparkle to match. Walk down the aisle with confidence, knowing everyone is taking you in from top to toe. Add some glamour and a pinch of the cat walk with a pair of metallic shoes just bursting to get out there and do their thing. They are classy but sassy and a great compliment to headpieces. Imagine a nice strappy sandal in a sheer silver metallic finish or a rustic antique gold to match a beautiful retro number. Metallic is one finish that stands the test of time and just keeps coming back, it truly is timeless. You know what the saying is, something old something new, something borrowed and something blue. Why not make the something blue an electric blue pair of killer heels? Time to be brave, be bold and be out there. If you are a fan of wacky designs or want something memorable, bold colours are definitely the way to go. Embrace yourself and make a statement, you only get one day and it’s your day. Love it, wear it and live it! An increasing number of people are having their weddings overseas to guarantee nice weather and a joint honeymoon. Barefoot sandals are the reverse flip flops of our time, simply attached at the top of the foot and allowed to flow down the feet they compliment any airy summer piece while allowing you to feel the sand in your toes. A touch of paradise for your feet while you say your I do’s. 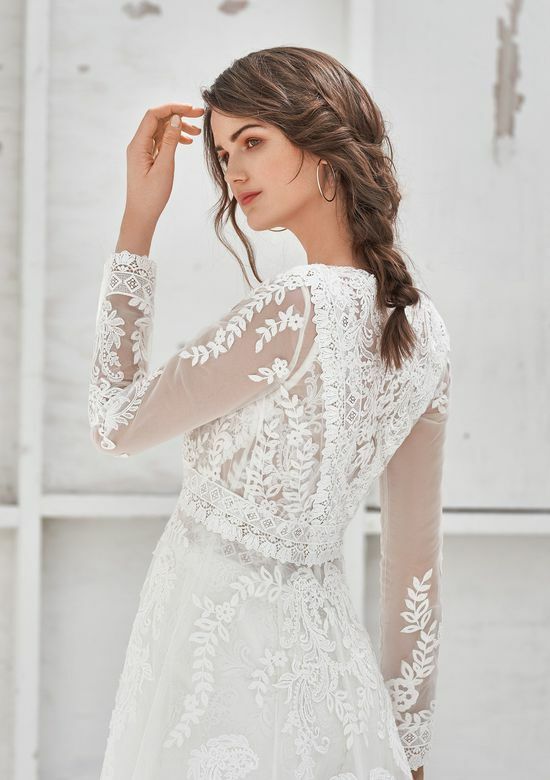 For some expert styling advice to bring your wedding look together or for some further guidance for adding those finishing touches to your wedding look contact the team at Fairytale Brides. Our team of experts are ready and waiting to help you uncover your dream wedding look.